Do you want to chat with other people while maintaining your identity private? Do you need that app on your android phone? Some people use Chatous, but there are other options. See them here. Chatous is one of the best networking and communication apps you can have on your phone. 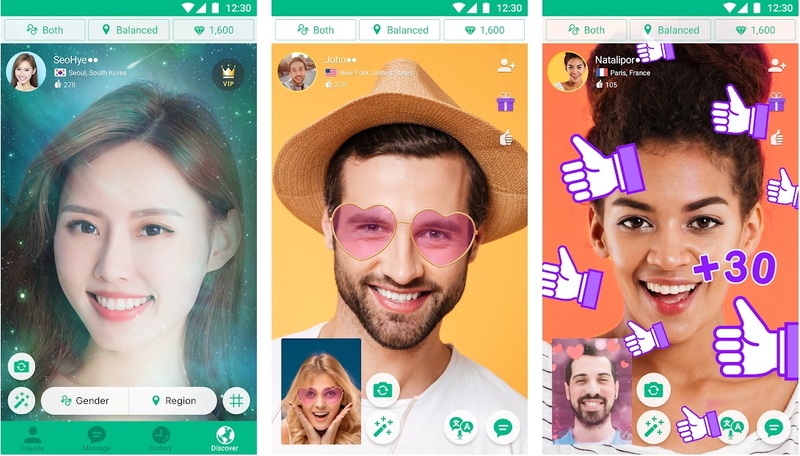 This amazing app is available for all smartphone systems and offers random video chatting and texting to all of its users. The app is free to use and it is very simple. The best thing about this app is the safety measures they have. Your true identity is absolutely safe and you have the option to pick your nickname in the app, so other people won’t see your real name but your nickname that you can change anytime you decide to! But there is more! Chatous, as good as it is, is not alone when it comes to this kind of software. Plenty of apps have similar purpose and appliance. You can download those apps for free and there are some amazing alternatives to Chatous! Stick around and take a look at our list of the best Chatous alternatives we could find. The list is in no particular order! 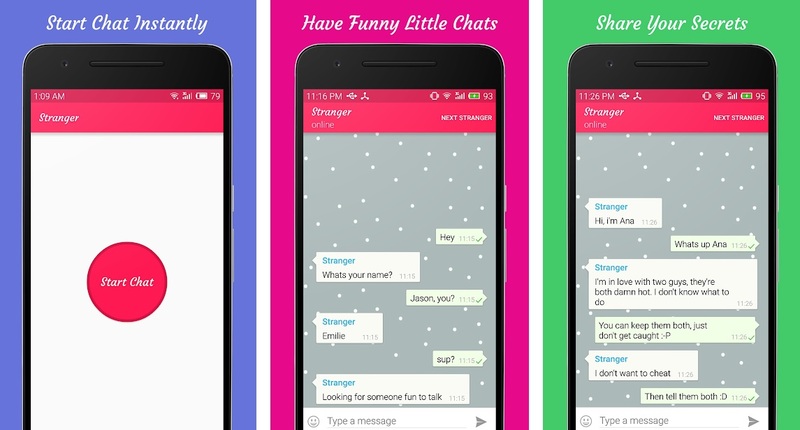 Top 10 free chatting apps Alternative to Chatous: random chat to a stranger right now! Monkey is our first Chatous alternative! There you can have lots of fun with people who use Monkey! It is truly an amazing platform for having a fun chat with some interesting and exciting people. You can share your ideas, tell jokes or even simply talk to someone who could understand you better than anyone you could find in real life. Each call lasts for fifteen seconds, but you can both add time to your conversation as much as you want. The conversation have no time limit, but will turn off automatically if you don’t add time. 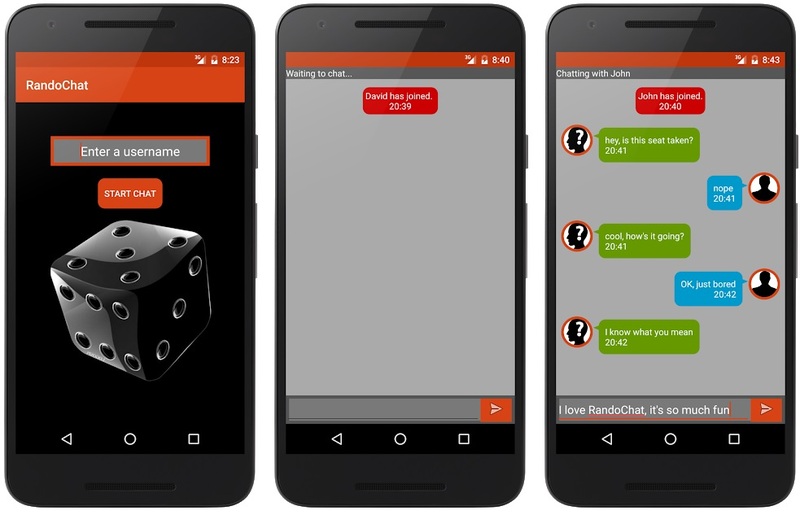 RandoChat is a calling and chatting application that allows their users to hold one on one conversation with real random strangers all across the world. This stranger chat has a very polished chatting system for those who want to keep it text based. There are a lot of chatting rooms with this Chatous web version and each room is filled with plenty of interesting people. Unfortunately, this Chatous alternative does not own any same interest joining system, so the people you get are randomized. Other than that, it is an amazing app. This voice conversation application is for chatting with strange people only. It sounds creepy, but it can be really fun. It has a unique style of communication! This Chatous lookalike allows its users to create topics that all people can join and discuss. All of the interested applicants can join and share their point of view. 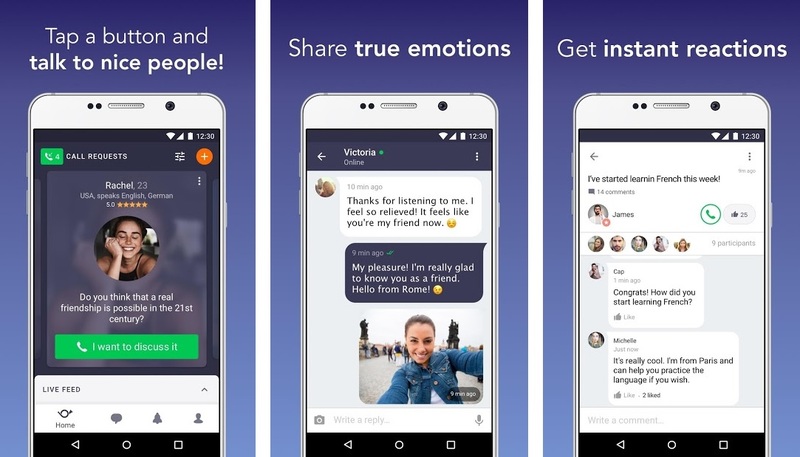 This Chatous alternative is a great app when you want to socialize but you are too bored to go outside and actually meet new people. Wakie is an excellent app to learn about other people’s lives and cultures and it holds thousands of users.. 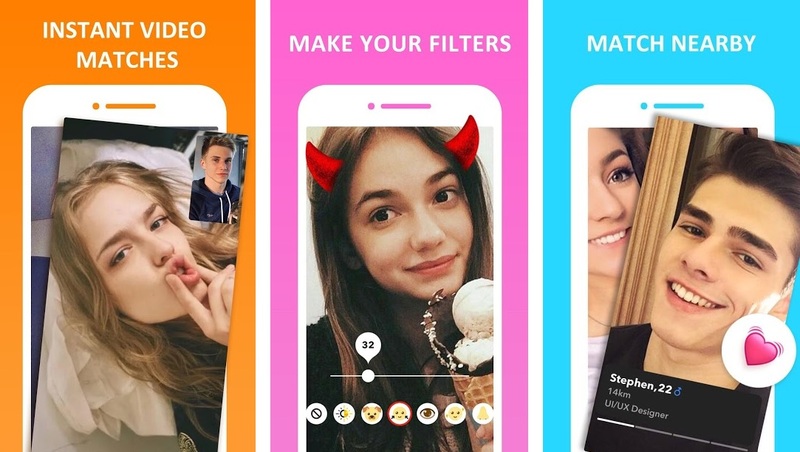 This social networking application connect its users with millions of real people! You can only encounter real people here, there are no bots! Azar is a Chatous-like software that supports and allows chatting with strangers which can be educational and fun! It is a great way to practice conversation for those who have issues with it! You can meet hundrteds if not thousands different people within the same week and you can choose whether you want to continue talking with them, or just find someone else to have your conversation. 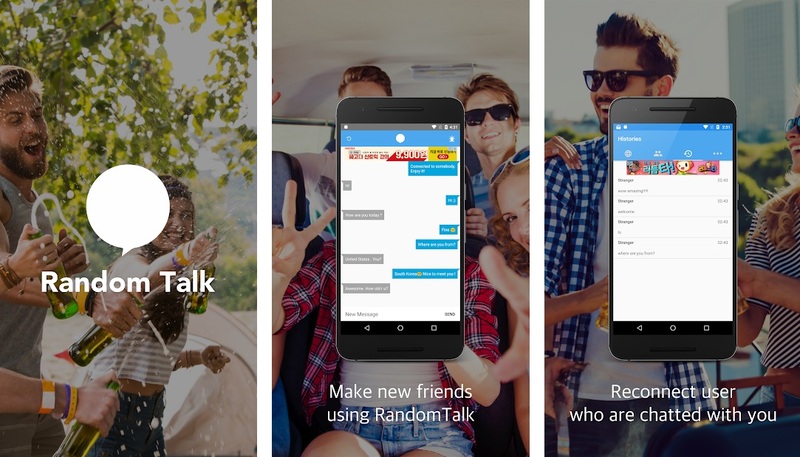 As the name states, RandomTalk is a random chatting platform where you can experience chatting with strangers, like the other software on our list. People who use this Chatous alternative are anonymus all of the time and your real identity is kept a secret. It also allows its users to share images, memes and experiences so we can all get to know eachother and have fun while conversing about any topic we choose fit for the conversation. There are topic specific channels and there are plenty of channels on RandomTalk. You can gossip, share your secrets, secret chat and much more! One of the best random chatting applications on the internet, StrangerChat keeps your identity a secret to other users and you can change your nickname whenever you want to. There is no need to create an account at all, since there is no need to log in this amazing Chatous alternative software. It offers unlimited enjoyment while you chat with random people about any topic. The user interface is very user friendly and StrangerChat contains many different chatting tools that can help you express yourself. Fav Talk is yet another great chatting application that lets you discover new people with the same interest as yours. If you are using this amazing Chatous alternative app, you can enhance your chatting groups as much as you want. Chat with anyone anytime and you can even save certain people you want to chat with again. This is the best app when it comes to finding people who have same opinions as you do and expand on them. You can also explore people and their interests and understandings. This Chatous lookalike allows you to change the settings of your interests so you can find some new people with different ideas of views on the same idea. Who knows, it might be fun! Omegle is a classic when it comes to random online chatting. 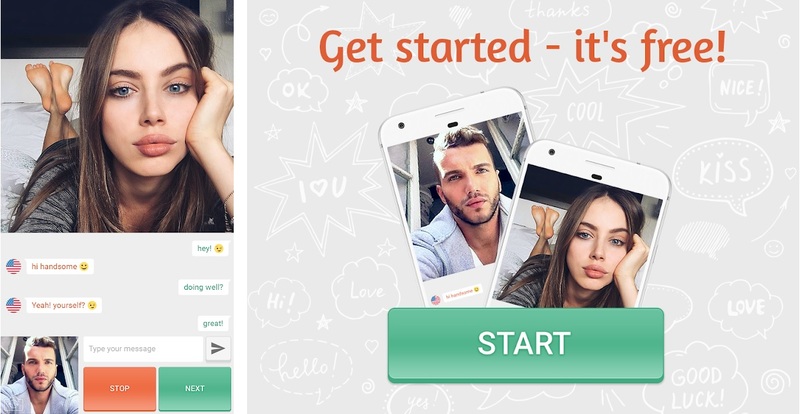 It is a video chat combined with texting so you can choose wheter you want to show your face or not. It is a Chatou alternative with millions of users every day so the chances of you getting the same person twice are rather low. It’s slick design and simple to use mechanics are the reason people are using Omegle. Not to mention a lot of cute girls you can meet online. This popular app is available for android, ios but also for pc version and there is no need to download anything, since everything is happening via your internet browser. Omegle might just be an amazing chance to meet new people and enjoy their company. Also, your identity is kept a secret. Chatroulette is a social media chatting app that, like all of the other apps n this list, allow their users to communicate with random people. It is what the name says. You get a random REAL person and you have the opportunity to talk with him/her as long as you both wish to do so. This Chatous alternative gives you easy access to millions of people all around the globe! This app is simple to use and it guarantees the dose of fun and excitement. You can talk with a single person or with a group and share your oppinions and ideas while remaining safe behind the alias you invent yourself. And no one is forcing you to talk to a certain individual or a group. You can leave whenever you desire and find someone else to talk to. Hola is the last entry on our list, but it doesn’t mean it is the worst. Far from it. HOLA is amongst the best when it comes to voice chats, especially when you are chatting with strangers. It has the most advanced algorithm people matching system that never fails. It will set you up with people who think the same way you do so you can talk your heart out to someone who would understand because he has similar opinions and topics. The drawback is the complex registration, but when you see the ease of connecting with people of similar opinions, you will see why it takes so long to register. It is also packed with endless options for conversation and you can always just swipe to find someone else. It certainly is one of the best Chatous alternatives on the internet. There are plenty more apps that allow you to talk to strangers online. We thought these ten were amongst the best and easiest to find and download. These apps are all free to use and they all have some advantages and disadvantages. Though most of the apps like Chatous have the same issue, you can easily avoid it, but use these apps at your own risk. I have already mentioned Rule 34. “Everything that exists can be sexualized” and these kind of apps are extremely succeptible to that rule. Please be careful when you are using online chatting apps for chatting with strangers.